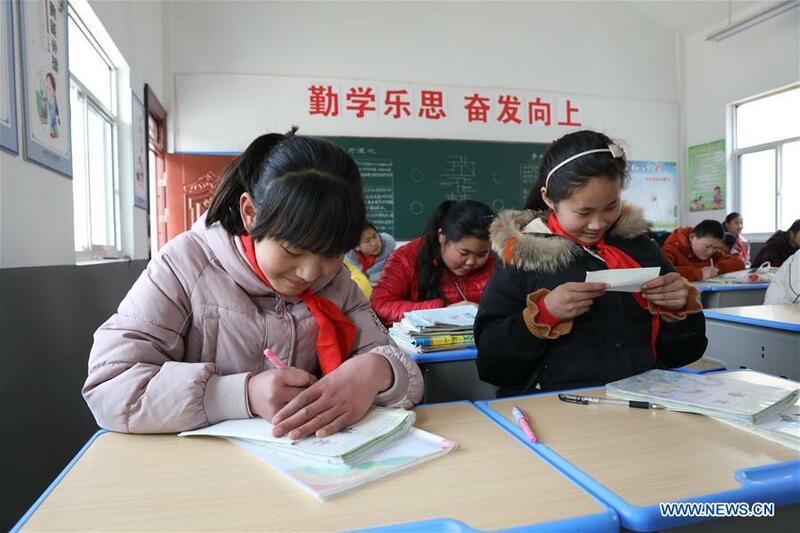 XIANGSHUI, Jiangsu, March 25 -- All 10 schools temporarily closed after a chemical plant blast in east China's Jiangsu Province have been repaired and reopened on Monday. Doors and windows in the 10 primary and middle schools were shattered by the powerful explosion on Thursday, with over 100 students suffering minor injuries caused by broken glass, the local education authorities said. Students were immediately taken to safety, and the injured were treated at nearby hospitals, said Gong Yansen, deputy head of the education bureau of Xiangshui County, where the plant is located. Gong said all the school buildings have been vetted by the housing and construction department, which said there were no structural damages. After the blast, over 400 workers were organized by the bureau to dismantle dangerous buildings, repair doors and windows and maintain supporting facilities, which cost over 4 million yuan (596,000 U.S. dollars). The schools were repaired and cleaned over the weekend. Environmental monitoring workers at the site told Xinhua that air quality in the area was safe thanks to high winds. Counseling and safety education were also arranged for students during Monday's classes. The explosion happened at about 2:48 p.m. Thursday following a fire that broke out in a plant owned by Jiangsu Tianjiayi Chemical Co. Ltd., in a chemical industrial park in Xiangshui County in the city of Yancheng. The death toll from the explosion stood at 64 as of 7 a.m. Saturday, according to authorities.